The Xi Xi Zeta Chapter in Lithonia inducted five new members into their chapter. Soror Nakia Dubose, Soror Wilda Parker, Soror Samone Mingo, Soror Faye Leticia, and Soror Faye Rashid. 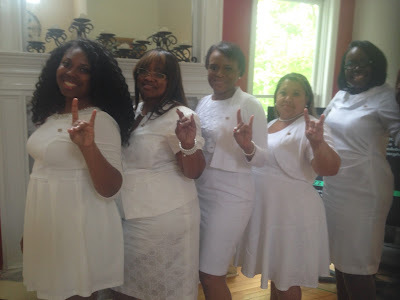 They were welcomed in by other Xi Xi Zeta members and sorors wishing them well in their new Zeta Journey. Various members of Xi Xi Zeta attended the Kappa Alpha Sigma Scholarship Ball. Others who were not in attendance donated to the cause. 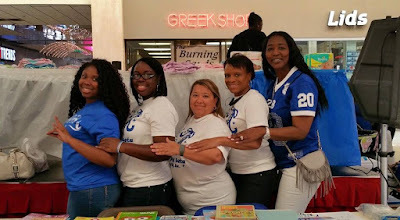 Xi Xi Zeta volunteered at the Atlanta Annual Stork Nest Charity Fund. The chapter contributed bibs, diapers, pacifiers, children books, and donations for this event. Xi Xi Zeta participated in the DeKalb County Relay for Life. Xi Xi Zeta raised money and one of the team sponsors for this event. Xi Xi Zeta celebrated the accomplishments of two college students by providing them with scholarships for the Chapter 4th Annual Scholarship Breakfast. The program also highlighted one of our students from the chapter adopted school Thrive Academy in Lithonia giving a Nelson Mandela speech. The speaker of the event was Rev. Dominique A. Robinson who shared an amazing testimony of her life struggles to encourage the youth. This event brought out sorors, fraternal brothers, friends, family, and other NPHC members.